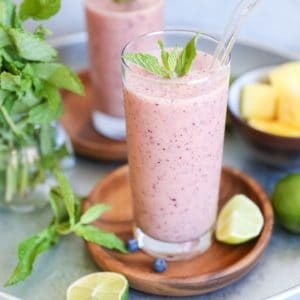 Sweet, refreshing rejuvenating blueberry mint pineapple smoothie – a fun flavor combo to take your smoothie steaze up a notch and help with good digestion. I’ve been sitting on this smoothie recipe for over a month and figured it would be appropriate to share it today, because – GET THIS! – I’m starting a 3-day juice cleanse today. Lettuce back up. 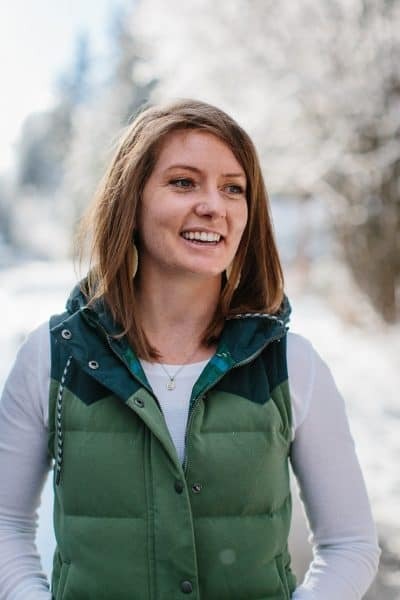 I’ve never been a huge proponent of juice cleanses, mostly because every time I’ve so much as pondered them, my body has immediately responded with a big, “Nope!” I tend to follow my intuition when it comes to these sorts of things. On the flipside, lately, my body has been craving a good clean-out, so after doing some research, I finally put on my big girl britches and pulled the trigger. Because I don’t own a juicer (and truthfully am not in the market for one), I ordered a little detox package from a local juice shop called The Mill (it happens to be owned by a lovely gal with whom I went to high school). From what I’ve read, you should be prepping your body going into a cleanse by doing your own little system clean-out, omitting gluten, dairy, alcohol, and caffeine. Normally this wouldn’t be a big deal for me, because none of those items are staples in my life (except 1 cup of coffee per day), although I did just spend the weekend in Bend, OR, where I consumed all very freely. All this to say, my body isn’t exactly primed for a juice cleanse, but I’m still confident we’ll pull through it. My goals with the cleanse are pretty extensive, and I may be kidding myself to think 3 days is all it will take. But a girl can hope, right? While I haven’t necessarily been making poor food choices lately, I’ve simply been eating a lot, and have been having a difficult time regaining control. While I’m always fine with feasting from time to time, I’m a big proponent of listening to your hunger cues. Without getting to sciencey (we’ll save that for a later post), when you overeat (especially carbs and sugar), your body’s natural hunger cues become disoriented, and you feel hungry basically all the time. For me, if I go too long in feast mode, it’s increasingly difficult to get back to my normal eating schedule (4 to 5 small meals per day), and the end result is feeling bogged down, moody, hormonal imbalance, and an unhappy digestive system. I figure a juice cleanse will detoxify my system, reset my digestion, and help me realign the way I view food. In addition, I’m hoping the cleanse sends a little healing juju to my gut. 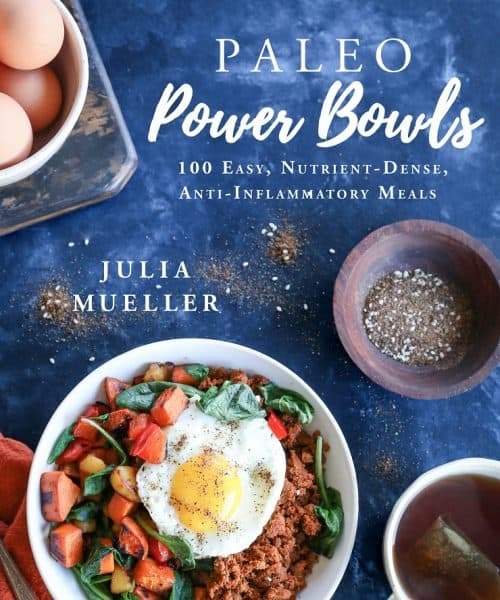 I’ve mentioned before I have IBS and candida/leaky gut, and starving my bad gut bacteria by not giving them carbohydrates to feast upon will allow the healthy bacteria to reign and ideally allow my body to heal damage to my gut lining. As a bonus, I’ve been wanting to break my habit of drinking coffee first thing in the morning. I love my coffee, and will likely continue drinking it, but every once in a while, I feel the need to gain control over the addiction. Coffee is not stellar for gut health, so taking a break from it from time to time can be very healing. I also think it can be fun to change up daily habits rather than resorting to the same behavior, and I’m hoping not drinking coffee for three days will throw enough of a monkey wrench into my routine that my mornings become less caffeine-reliant. I know the first couple of days will be the hardest, but I’m hoping I’ll come out of the cleanse with higher energy and a bulletproof digestive system. If you’re interested to see my progress, you can check out my Instagram stories, where I will be keeping you updated! Okay, now that I’ve talked your eyeballs off regarding a subject that doesn’t really pertain to this exact smoothie, let’s get down to it. I designed this smoothie to be an aid in good digestion. Full disclosure: Because I’m intolerant to bananas (read more about that here), I tasted the smoothie to be sure it was drinkable (spoiler alert: it’s delicious), but gave it to Garrett for full consumption. Let’s break this thing down, shall we? For those who aren’t intolerant, bananas can work wonders on digestion, as they promote digestive regularity. Bananas are full of fiber and starch, which help metabolize food. The starch in bananas serve as an awesome prebiotic to help feed the healthy bacteria in your gut, thereby promoting healthy gut flora. Pineapple is a powerful anti-inflammatory and contains the enzyme bromelain, which breaks down proteins, thereby assisting in digestion and proper nutrient absorption. Mint soothes indigestion and also helps remove inflammation throughout the digestive tract. In addition, herbs help activate the salivary glands, which also helps release your natural digestive enzymes for efficient digestion. As an added bonus, I tossed in a scoop of marine collagen peptides, which help repair your intestinal wall in addition to being awesome for your hair, nails, skin, ligaments, bones, etc. Orange juice is a phenomenal anti-inflammatory and also helps with good circulation. While oranges aren’t necessarily touted as awesome digestive aids, they lend immune support for an overall healthy body. If you’re intolerant to bananas, you can replace it with frozen steamed cauliflower, frozen steamed zucchini, or a scoop of almond butter to still achieve that thick creaminess. If you’re cool with thinner smoothies, go ahead and omit the banana without a substitution. 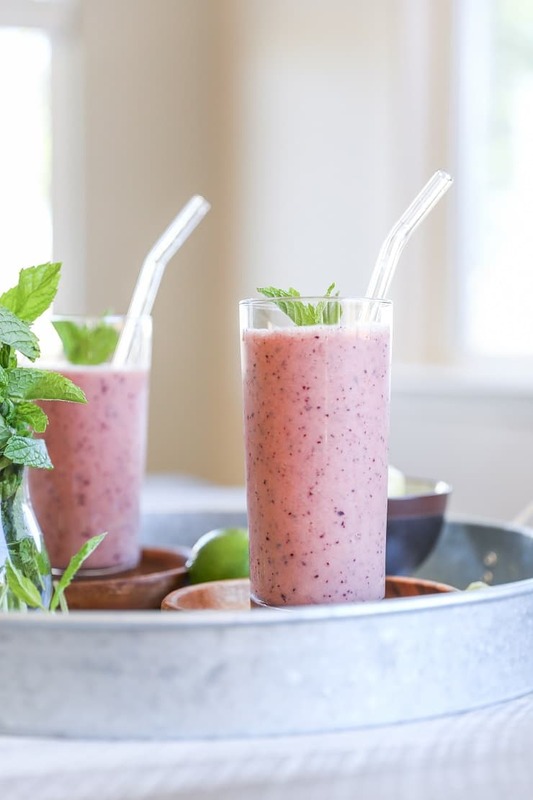 You can also add kale to this smoothie to further intensify its digestive healing properties! One more little factoid, and then I’ll let you go. Food in liquiform is much easier to digest than solid food, and liquids clear your digestive system 4 times faster than solid food. 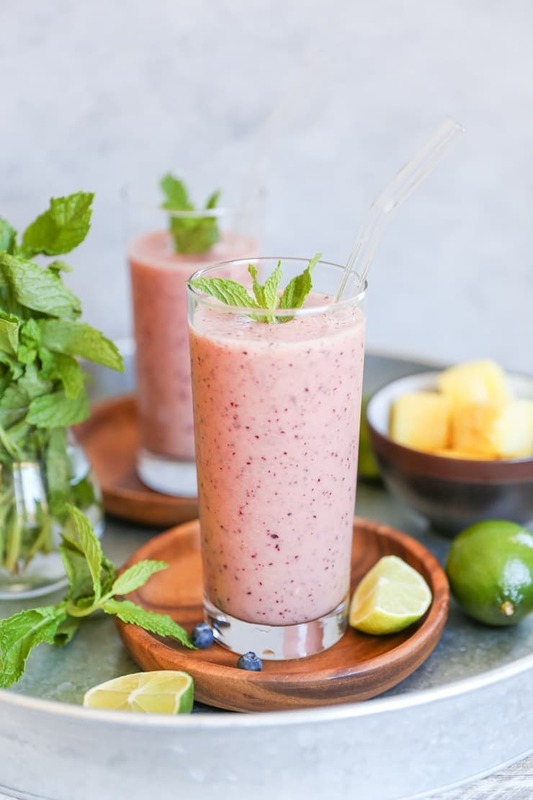 So if you’re looking to get things moving, replacing a meal with a quality hand-crafted smoothie should help get you going! And that’s it for now! 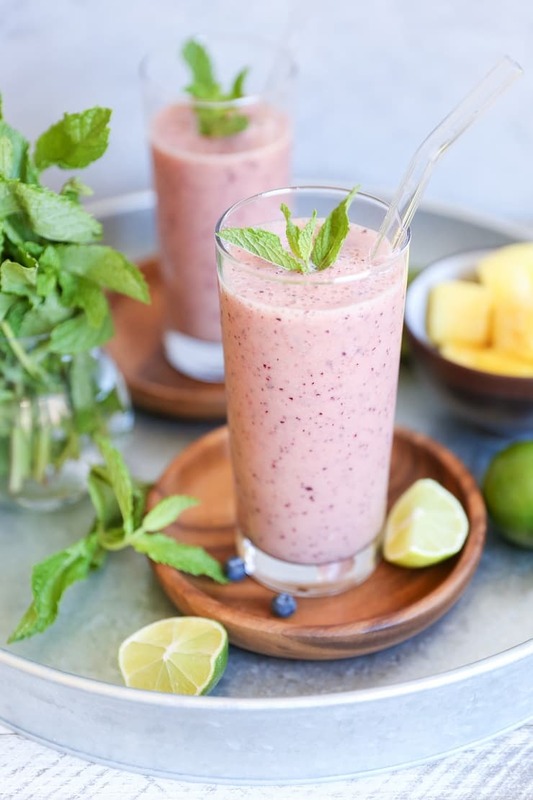 I’ll keep you updated on my little cleanse, and in the meantime, I hope you enjoy this good digestion smoothie! Add everything to a blender and blend until completely smooth! Pour into a large glass and enjoy. Hi! This sounds really good, can’t wait to try it! Is there anything to use as a substitute for the ‘Marine Collagen Peptides’? I don’t mind using it, but looked it up, and it’s way too expensive for me! No worries, BJ! You can omit the collagen peptides and still get great benefits from the smoothie. The only replacement for marine collagen peptides would be another source of collagen – for instance, Beef Collagen, which I believe is about the same price point. 🙂 Hope this helps! i go through a phase with lots of eating, esp during vacation and its always hard to get back to regular eating habits. i am absolutely digging all the solid benefits from this smoothie. im curious about your overall experience. I’ll keep you updated for sure! Is this a serving for “2”? You are brave to do a cleanse! I have no doubt I would murder someone on the first day. Probably Brandon. Ha! I’ve never been a coffee drinker, or any caffeine for that matter so it’s hard for me to understand the addiction but I can see how all of that acid might mess with your digestion long term. Hopefully the cleanse helps! Also, this smoothie makes good digestion looks like a evening stroll in the park. So easy and so good!! Because of the marine collagen peptides, this recipe should not be categorized as vegan. Of course, you could omit them, but does that compromise the make-up of the smoothie? This looks great, I will try this tomorrow. This is definitely nutritious. Can I replace the Almond milk with a skim milk? Thank you for this. I seen a recipe so similar to this in my Juice and smoothie recipe book!! This sounds so delicious I cant wait to try. There,s a recipe for a Kale and Poppyseed (I know, sounds gross) BUT IS ACTUALLY AMAZING! Also 100% Vegan. Im so obsessed! But I will be trying this recipe also! I love reading your blog! This is one of my favourite smoothies! Helpful for digestion.